First edition, without the publishers advertisements at the end. One of 750 copies. Octavo, contemporary half calf. Bookplate of John Hales Calcraft, member of Parliament in the late 18th century. Calf lightly rubbed, a near fine example. Rare in contemporary calf. 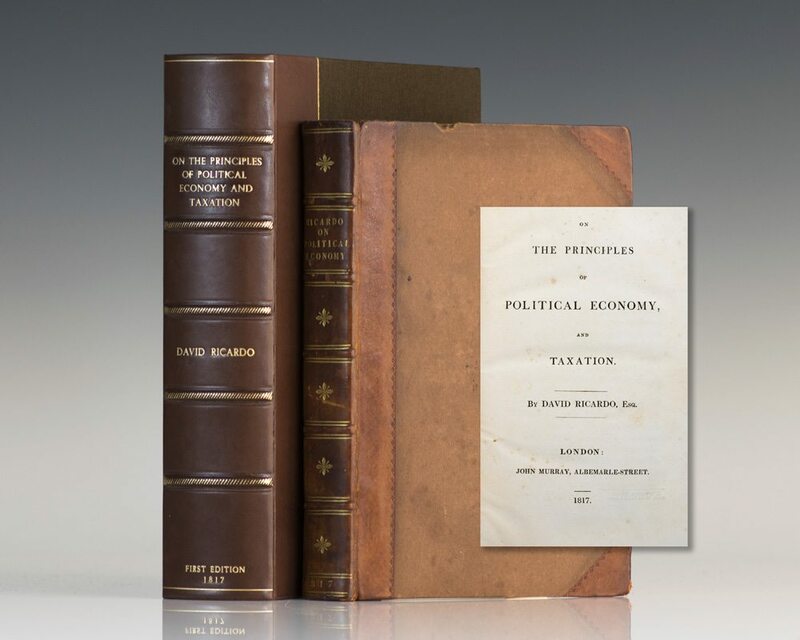 "David Ricardo is without doubt the greatest representative of classical political economy. He carried the work begun by Adam Smith to the farthest point possible Ricardo, writing 50 years later than Smith, showed a greater insight into the working of the economic system In the opinion of his own contemporaries at home and abroad, Ricardo was acknowledged the leader of the science His most important work is On the Principles of Political Economy and Taxation, first published in 1817" (Roll, History of Economic Thought, 155-6). The "principal problem in political economy" as Ricardo defines it, is the "laws" which regulate "the natural course of rent, profits and wages" over time." "He now began to interest himself in scientific and mathematical studies, but after reading The Wealth of Nations he decided to devote himself to political economy The fundamental groundwork of the Principles is based on the theory that, given free competition in trade, the exchange value of commodities will be determined by the amount of labor expended in production [a thesis] which was given new force by the theory of distribution with which Ricardo reinforced it Ricardo was, in a sense, the first scientific economist [His work] has proved of lasting value" (Printing and the Mind of Man 277). Second edition. One of 1,000 copies. Octavo, half calf over marbled boards, top edge gilt. A few small light stamps and numbers on the title page, a near fine example. Ricardo, David; (Edited by McCulloch, J.R.). The Works of David Ricardo, Esq., MP. with A Notice of the Life and Writings of the Author. First edition of the works of Ricardo. 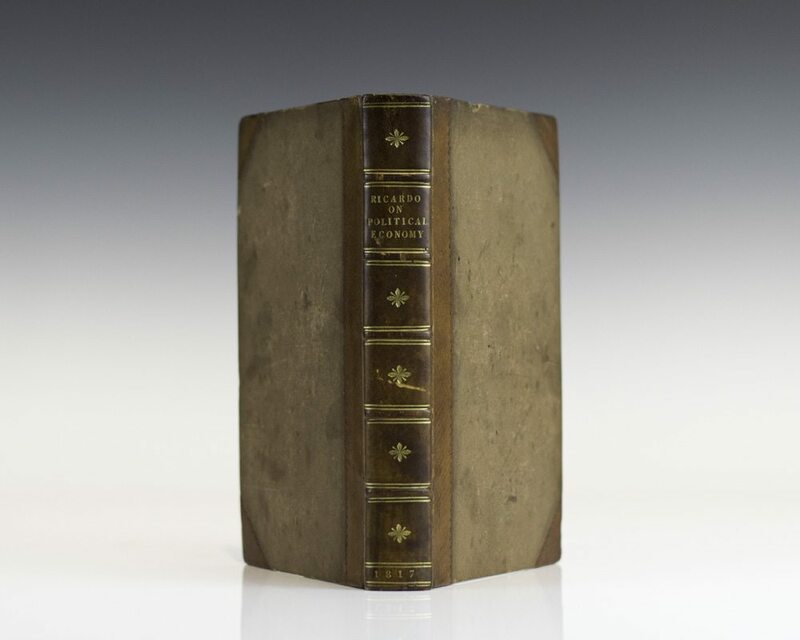 Octavo, original cloth with gilt titles to the spine. In very good condition with light rubbing to the cloth. Uncommon, especially in the original cloth. Housed in a custom half morocco clamshell box.